Brooklyn’s latest musical sensation NIGHT MANAGER just released their debut single from the Fire Talk label, consisting of equal parts surf rock and hazy scuzz with captivating vocals to make for a memorable 7″. First thing you will notice here, and almost immediately, is that the vocals of Caitlin Seager stand out above everything else in the mix. She wields a gorgeous and entrancing voice, which is kind of the exact opposite of the noisy and murky sounds that this single offers. Guitars are abrasive and concentrated as Seager’s voice sways carelessly across the sea breeze, which fits perfectly for the vibes of a song like “Cosmonaut” – and normally I try not to name drop, but Tennis anyone? They might sound similar for a short span of the track, but in the long run their goals are substantially different. Moving on from those qualities, on the outside of these three songs sits a powerful and palpable smokescreen of lysergic haze, which engulfs tracks like wrapping paper and keeps you guessing as things unfold. The wobbly pop notions of “Pizza Pasta” prove this while the songs defies gravity and floats loosely, where there’s nothing urgent or frantic to kill the soothing vibe of Seager’s voice which always seems to be the key focus. 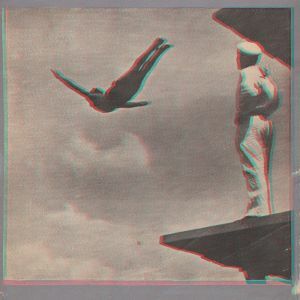 Now’s your chance to let the wispy guitars of “Cosmonaut” or the jagged and clanky rhythm of “Air Jordan” take you on their buoyant journey, where by the end you should realize that each one of these tracks has a mind of their own. Fingers crossed for the future of Night Manager, so snag this one while you can – today is the official release date! 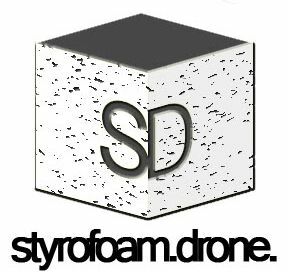 Posted on July 5, 2011 by styrofoamdronePosted in 7", Reviews, Still Spinnin'Tagged Lo-Fi, pop, psychedelic, surf rock. This 7″ is amazing! And just in time for summer! This song is better than fried chicken.